For 3D Blu-ray movie collectors, you may have backed up your 3D Blu-ray ISO files to 3D ISO file format so that you can later burn a new physical copy even you don’t have the original disc. In this article, we will show you how to play 3D Blu-ray ISO on Fire TV via Kodi. From Fire TV supported file formats, we can see that Fire TV lacks the ability to handle 3D format video, the good news is that with the assistance of Kodi, which owns the capability to handle 3D video formats such as SBS, TAB and Anaglyph or interlaced 3D types, you can then have the change to view 3D video on Fire TV via Kodi. Obviously, you can’t direct play 3D ISO files on Fire TV via Kodi, you will need to perform a file format transcoding process. 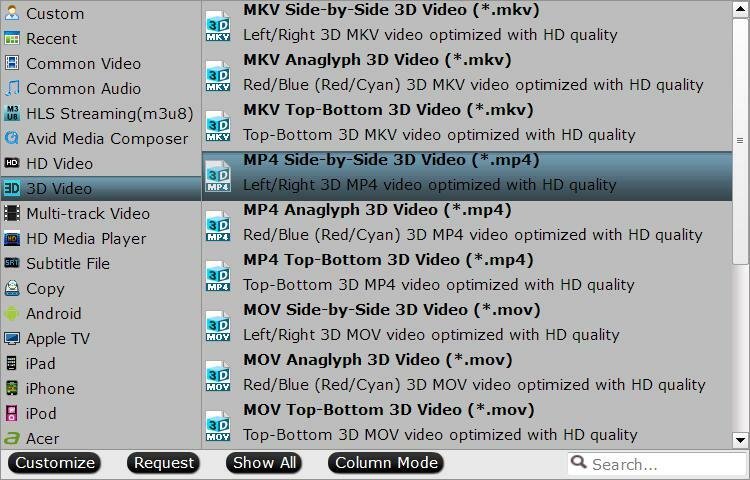 Here, you can get the job easily down by downloading our best 3D Blu-ray ISO Ripper – Pavtube ByteCopy. The program has perfect importing support for the 3D Blu-ray ISO files, you can easily rip 3D Blu-ray ISO to Kodi playable 3D SBS, TAB and Anaglyph with the format of MP4/MKV/AVI/WMV/MOV. To get better output 3D video effect, you can flexibly adjust output 3D video depth value to change the 3D depth perception. As for whether selecting the full SBS 3D or half SBS 3D, if you have computer with more graphic power and you wish to have a better 3D video quality, just select the full 3D SBS format, if not, a half SBS would satisfy your needs. Apart from that, you can also check the “Switch Left Right” option to change the image display order for 3D SBS movie. For Mac users, you can switch to download Pavtube ByteCopy for Mac to rip 3D Blu-ray ISO to Fire TV for playing on Kodi with immersive 3D effect. Step 1: Load 3D Blu-ray ISO files. 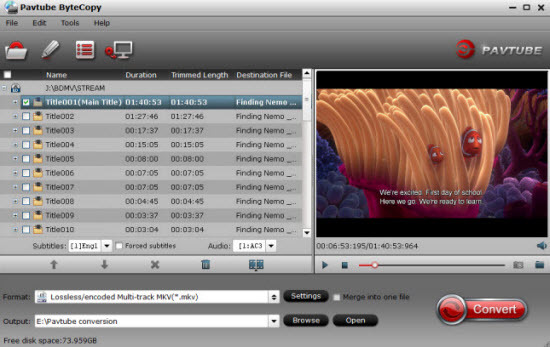 Initiate the program on your computer, on the main menu bar, click “File” > “Load IFO/ISO” to import 3D Blu-ray ISO files to the program. Clicking the Format bar, from its drop-down list, select Kodi playable 3D file formats such as “MP4 Side-by-Side 3D Video (*.mp4)” under “3D Video” main category. 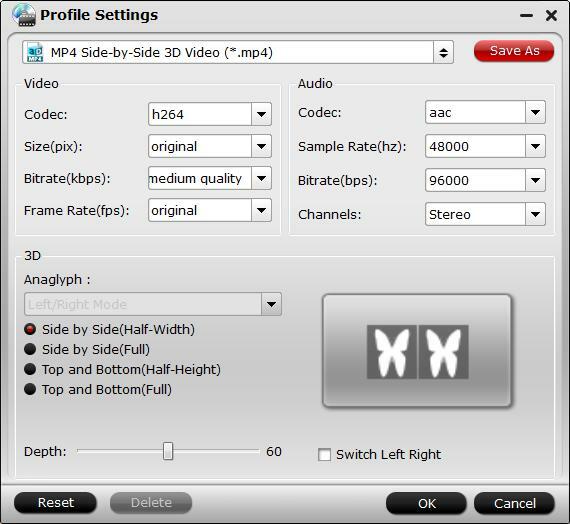 Step 3: Adjust output 3D profile settings. Go back to the program main interface, hit on the “Convert” button and start to convert 3D Blu-ray ISO to Kodi playable 3D formats for Fire TV playback. When the conversion is finished, click “Open Output Folder” icon on the main interface to open the folder with generated files. Then feel free to add converted files to Kodi for playing on Fire TV with immersive 3D effects. This entry was posted in Blu-ray, TV Box. Does Plex run at 4k on the Amazon Fire TV 2? How to transfer iTunes M4V Movies to Amazon Fire TV 2? ISO Files Not Working on Amazon Fire TV, Solved!